Getting a winter flu is as inevitable as day dawning and taxes. 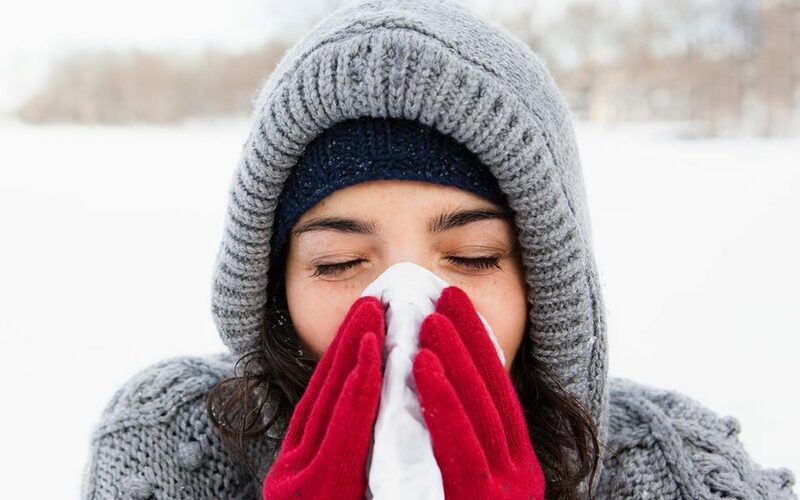 It can be horrible to get the winter flu, but there are a few ways to help you beat it without visiting the pharmacy. These are our best homemade flu remedies. 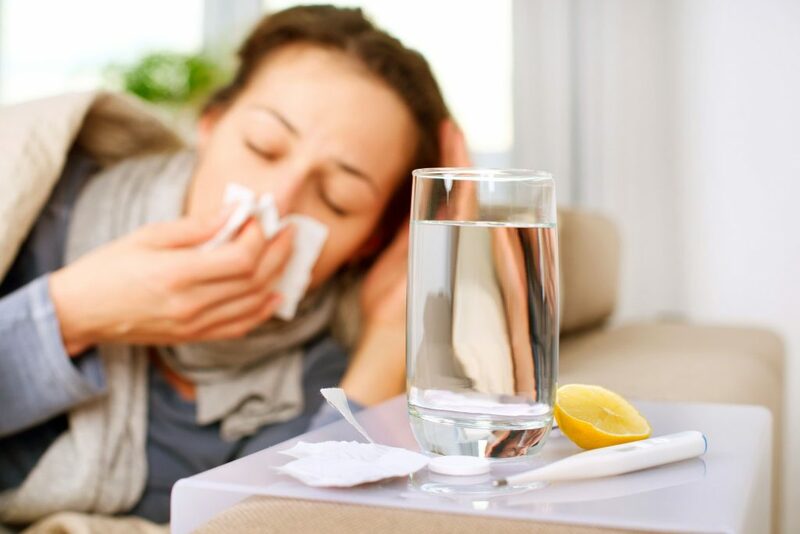 The flu will leave you feeling dehydrated, so the best thing to counteract that is to drink more! Water is good, but sports drinks with extra electrolytes will help to give your body the boost it needs to power through your illness. Staying away from caffeinated drinks is wise as they will dehydrate you further, but drinking herbal tea will help soothe your sore throat. Go out and buy a bunch of lemons and plenty of honey when your symptoms arrive. Squeeze a lemon into a mug with a healthy dose of honey, then just add boiling water and you’ve got your very own throat soothing beverage. This one will be a little uncomfortable initially, but it will help to clear your stuffy nose with the aid of a bulb syringe. Take eight ounces of water then add ¼ teaspoon baking soda and another ¼ teaspoon of salt. Once you’ve mixed up your remedy fill the syringe, hold your finger over one nostril and squirt, then do the same for the other side of your nose. This will ease the congestion in your nasal cavity and remove some of the bacteria in your nose, helping you to get better quicker. When you’re unwell, the last thing you’ll feel like doing is taking your clothes off, but it can help! Before you get undressed, turn your shower on and make sure there’s steam filling the bathroom. You need the steam to open your breathing passages and give them some vital moisture. If you aren’t feeling up to standing, perhaps if you’re a little dizzy, then bring a chair and sit beside the bath. You’ll still get the benefits of the steam, and it gives you the chance to have a sponge bath. Ginger is really good for your body and has natural anti-inflammatory properties, so getting as much of it into your body when you're sick will make you better quicker. To make a ginger tea take a couple of slices of the root and dunk it in boiling water with a teaspoon of honey. Let it steep for 15 minutes then strain away the ginger bits and drink to your health! Garlic has similar healing properties and is especially good at fighting fungus and bacteria. This one isn’t as tasty as the ginger tea, but finely chop a clove of garlic throw it into a ¼ cup of cold water then shoot it down the hatch! 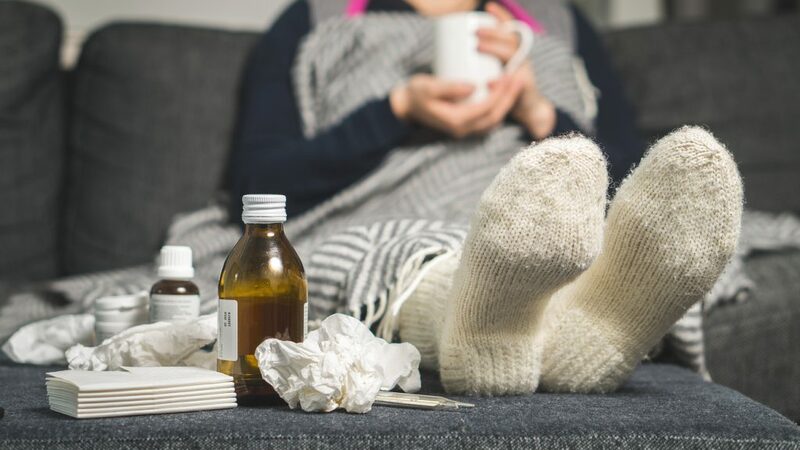 These remedies will help you get over your winter flu and back to feeling fighting fit in no time. They are all easy to do so you won’t have to put yourself through any extra stress when you’re feeling at your worst.